MUMS GIVE FOOD TO MANY! 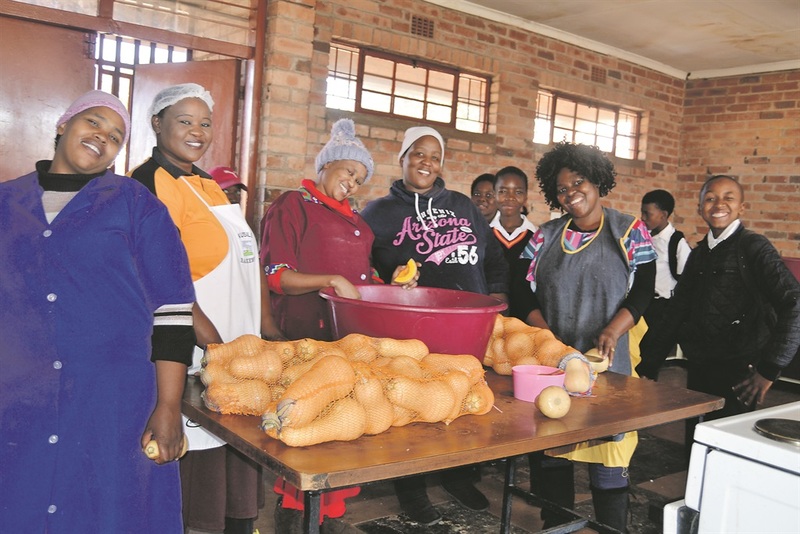 YES CLUB is one of the promising businesses owned by 60 pupils at Ekwazini High School in Mhluzi, Mpumalanga. This food business was started four months ago and employs two parents. The two mums work as cooks selling ice-cream, pop corn, hot dogs, waffles and soft drinks to the pupils. But not only kids get fed. Every Saturday the parents sell food to the church members who attend their services at the school as well. Argentina Mtau (17) and Zanele Simelane (19) are co-founders of the club. Argentina said they make about R300 profit every day and are working hard to make more. “Our workers share the kitchen with three other mothers who work for school’s feeding scheme,” said Argentina. This year is her last at the school but she plans to start something similar at home. The eatery was made possible by Eskom Development Foundation in February this year. They were provincial winners of the 2017 Eskom Simama Ranta School Entrepreneurship Education Competition.